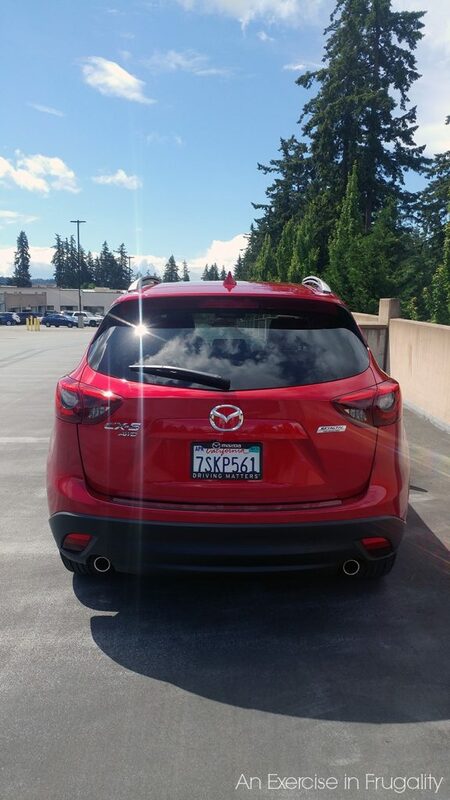 This week I am celebrating “Motoring Monday” (a day late) with a 2016 Mazda CX-5 Grand Touring compact SUV. First of all let me just say that I was a little biased going into this as I had always thought they were really cute, nice vehicles. We own an older model Mazda6 and have been really happy with it. When I started eyeing up crossover SUV’s the one that really caught my eye was the CX-5 so when the opportunity to drive one for a week presented itself, I couldn’t pass it up! First of all, look at how gorgeous this vehicle is. Can we just have a moment to soak it all in? That’s the stuff. Yassss, girl! Werk! What I love about this vehicle is the feel. It feels like a more expensive car. 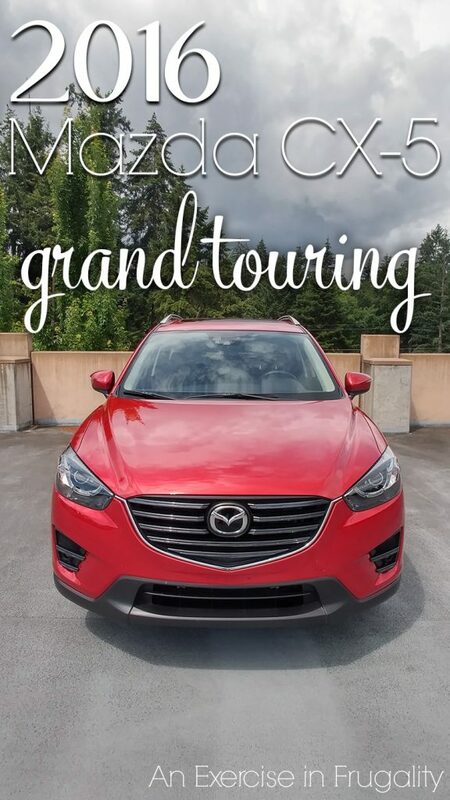 It is totally affordable, the base price for the Mazda CX-5 is $21,795 and $28,220 is the base price for the Grand Touring package. This one is fully loaded at $34,485 with ALL the bells and whistles. 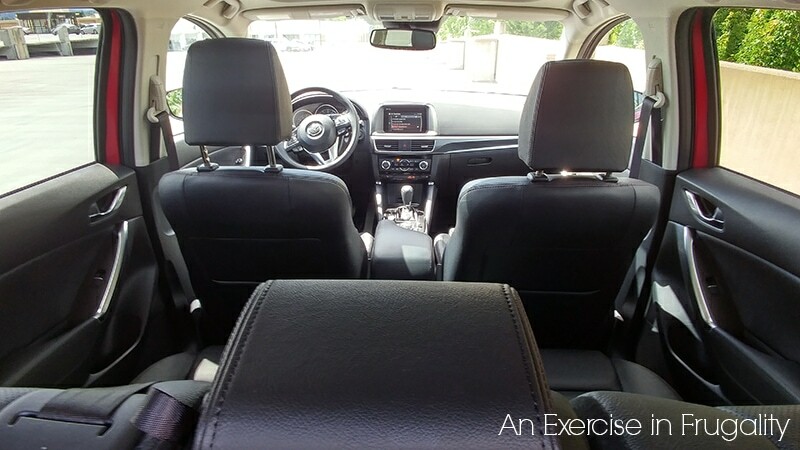 Obviously this makes it quite a swanky ride, but even the more budget-friendly base model is well-equipped. I think this makes it (and its larger cousins the CX-7 and the CX-9) an excellent family vehicle at an affordable price. The interior is a beautiful leather, but its not just for show. It’s durable enough to handle your family’s wear and tear and is versatile enough to haul your cargo. 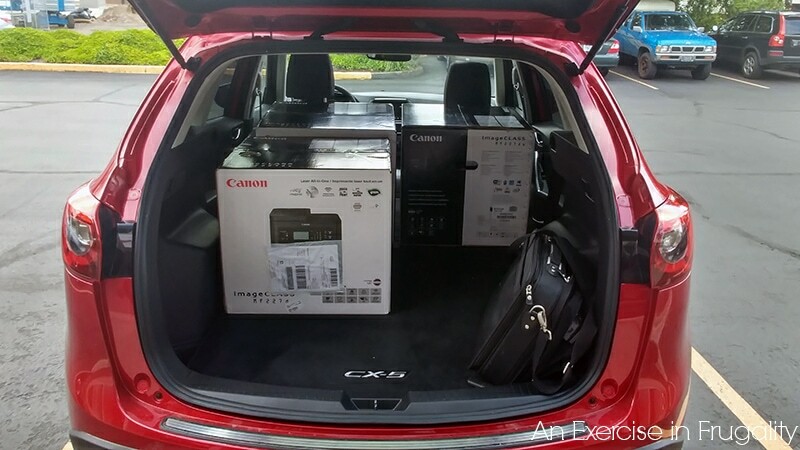 My husband is an IT manager and had to deliver 3 huge laser printer/scanners to a client which would have required multiple trips in our car. The CX-5 took them in and said “what else ya got?”. 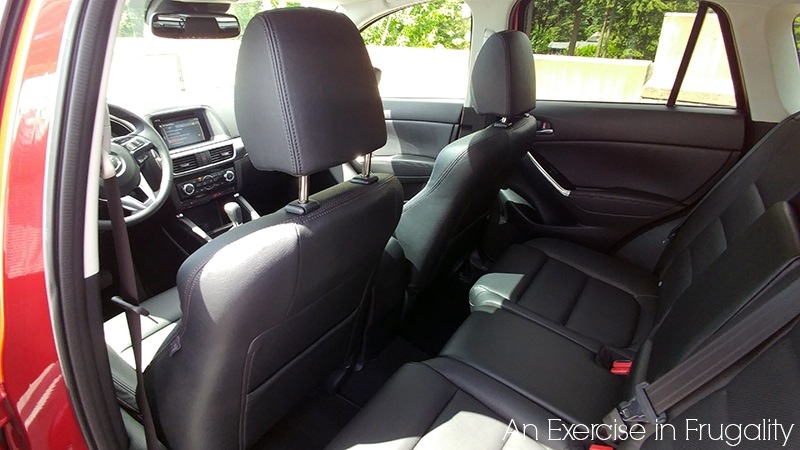 The back seat is roomy too, with plenty of headroom for even taller adults. 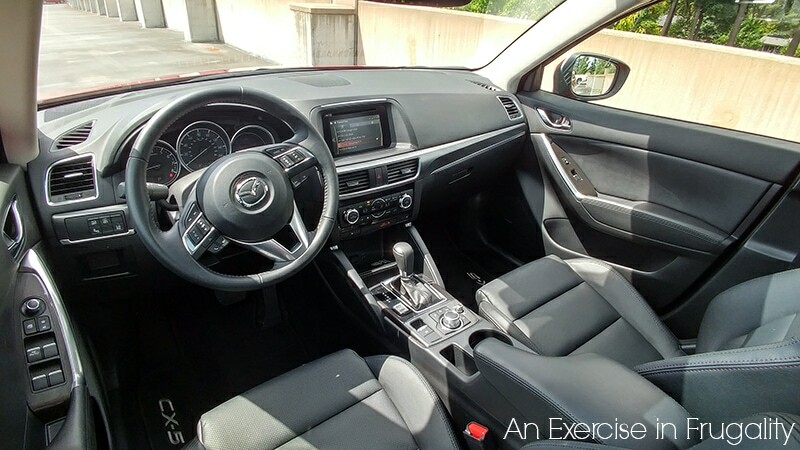 The Mazda CX-5 is surprisingly fuel efficient too. We got excellent gas mileage even with the AC running most of the time. It rivals the fuel economy of many hybrids! The 2.0L engine with SkyActiv technology (to maximize efficiency and performance while lowering emissions) averages an estimated 35MPG and the 2.5L averages an estimated 33MPG. This is not only good for the environment, but think of the benefit to your wallet! Let’s not forget to mention that this is better fuel economy than comparable vehicles like the Rav4, Highlander hybrid, Tuscon and the Toureg diesel! Traction and handling are outstanding. Of course its not winter, but I did get to take it out in the rain and it handled like a dream. As a Minnesota native, I’m an extremely confident winter driver, even in the worst conditions but with a crossover like this, I wouldn’t have a worry in the world. I figured Mr. Frugality, who is a fan of smaller, sportier cars wouldn’t like this one. 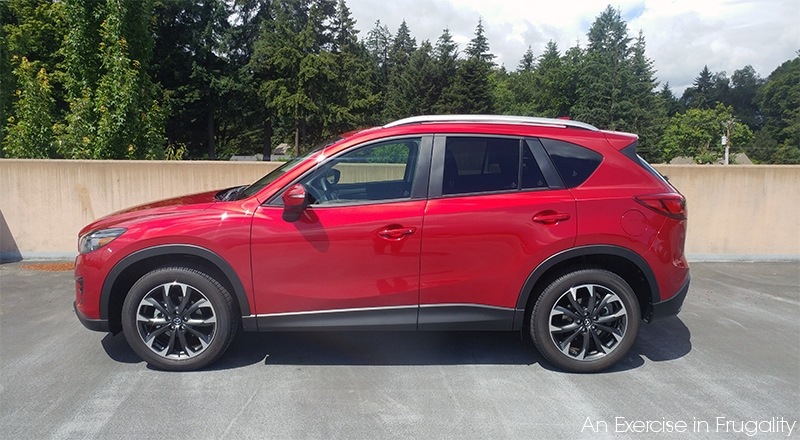 I was worried because I really loved the Mazda Cx-5 before I even got to drive it so I hoped to own one some day, but I know he doesn’t particularly like SUV’s so I figured it would be a hard sell. Nope. From the minute he got in he kept saying how nice it was! Turns out he really loved it. He really liked the fact that it still had a sporty feel. He’s a fan of Mazda’s anyway, but to get him to like an SUV is quite an accomplishment. And he wasn’t the only one who loved it. Car and Driver gave the CX-5 a 5-star rating! I was sad to give the keys back today, but I got to trade them for another great car that I will be test driving this week and I think you’re going to like that one too, so check back next Monday to see what I got to drive. 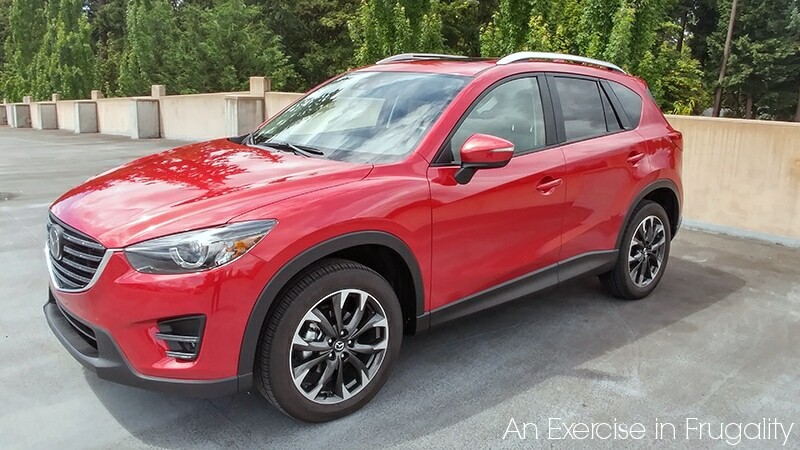 What do you think of the 2016 Mazda CX-5? This is so amazing! Thank you for sharing this opportunity! Must not be a good angle then because the leg room is ample! I am 5’10 and hubby is 6’2 and we both fit back there comfortably! Mazdas are my favorite car…but I am not a huge fan of this type, but I bet it was fun to drive!! I agree though the back leg room looks like nothing but I trust you that it is comfortable and there is room! The color and design really draws me in.